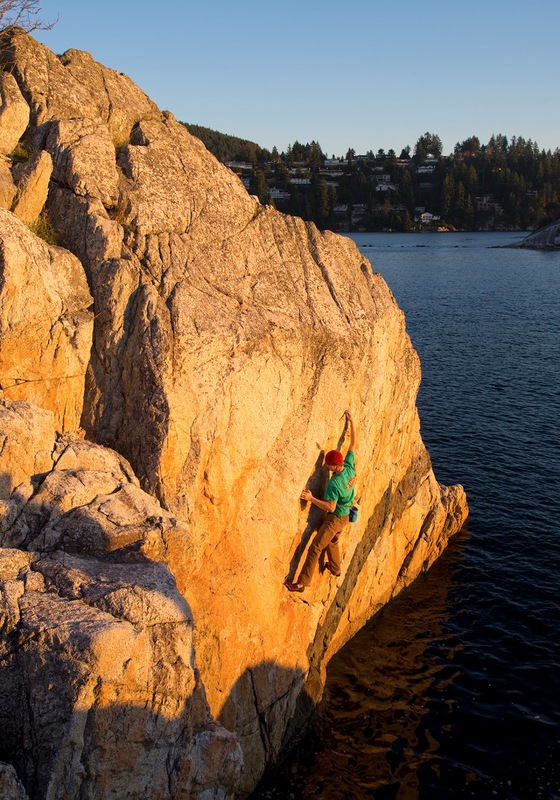 Climbing at Copper Cove. Photo by Rich Wheater. 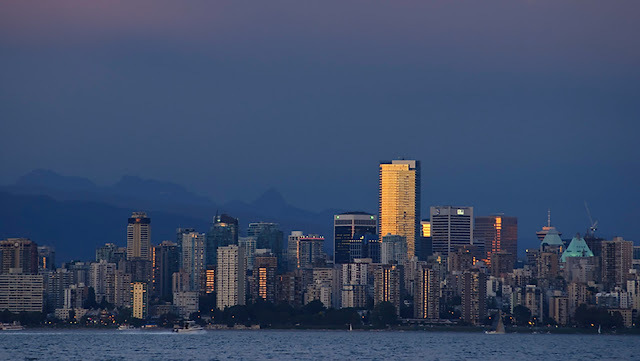 Vancouver in evening light. Photo by Rich Wheater. 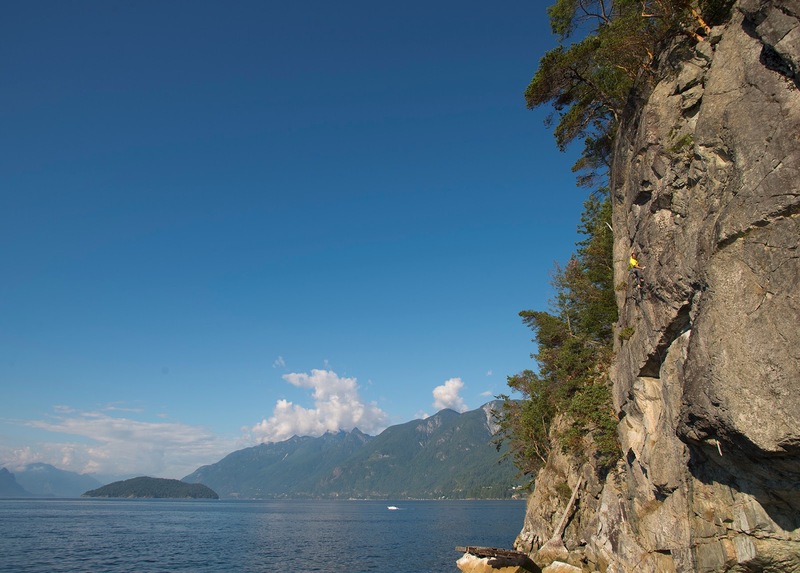 Climbing on Bowen Island. Photo Rich Wheater. 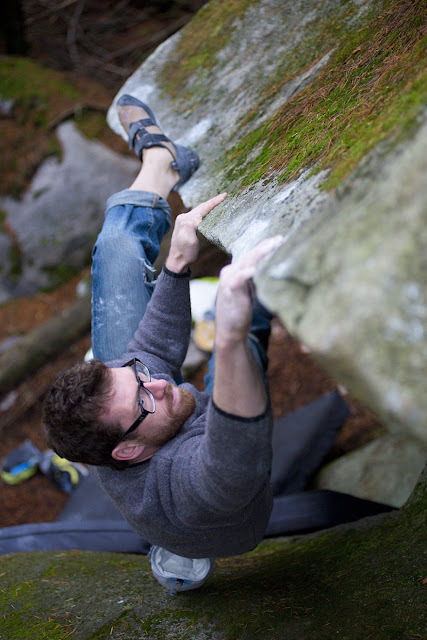 Bouldering at Sandy Cove. Photo by Rich Wheater. 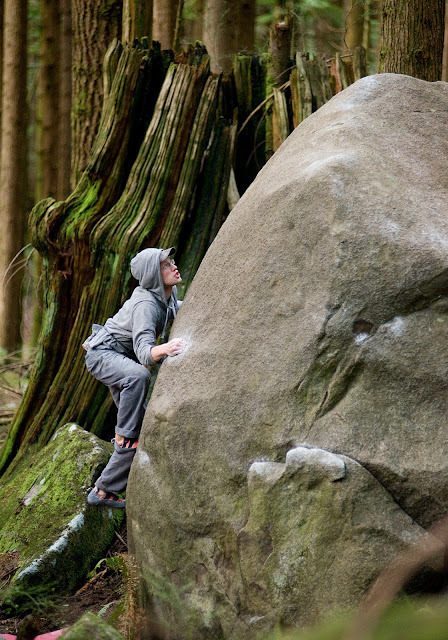 The Climbing - Much like Squamish, the stone on Vancouver's North Shore is primarily granite and the climbs share similar characteristics, albeit on a smaller scale. 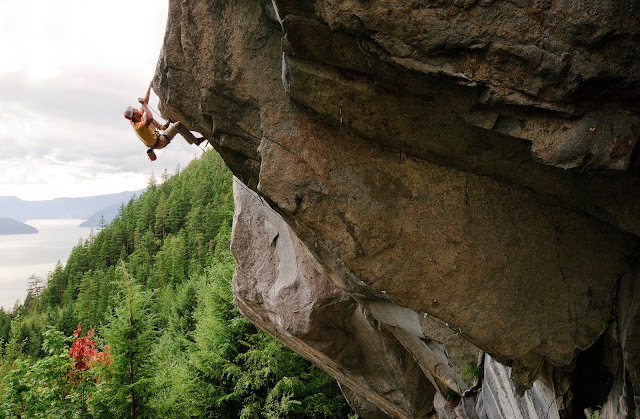 Rounded boulders scattered through lush forests provide interesting sloper problems and traverses, and small, steep crags offer up lots of challenging face climbs with the odd, quality crack. Once above the city's thick forests, the weathered granite features a variety of fine alpine rock climbing objectives, with views of the city and ocean that are impossible to beat. 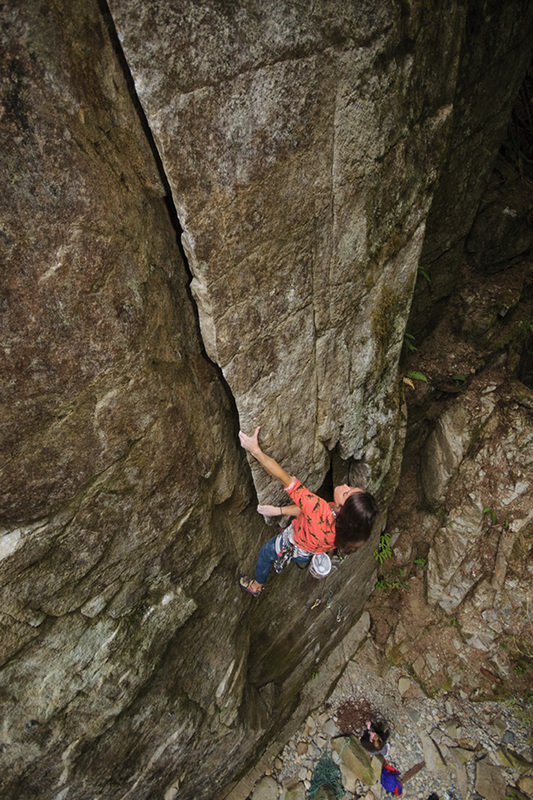 The guidebook documents over 600 boulder problems, 300 rock climbs and a handful of alpine routes, enough to keep any visiting climber busy for some time. 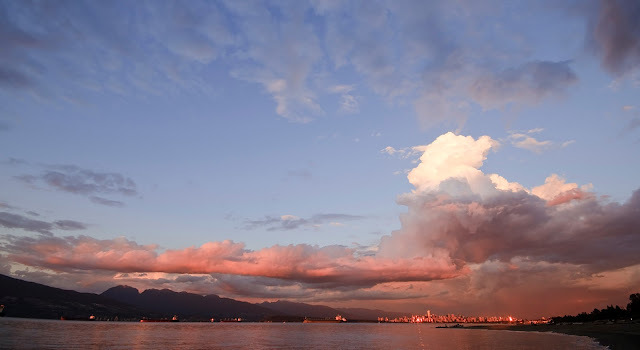 Vancouver's North Shore Mountains. Photo by Rich Wheater. 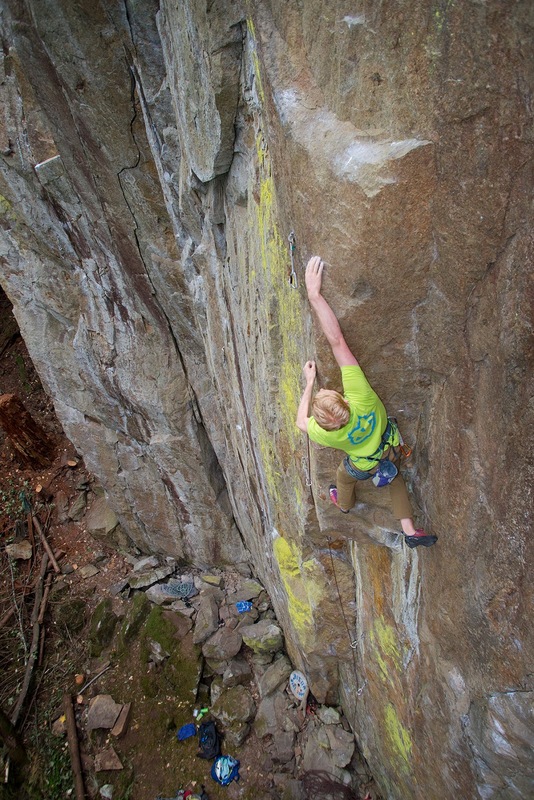 Sport climbing at Tunnel Point. Photo by Rich Wheater. Bouldering at Cypress Falls. Photo by Rich Wheater. Bouldering on the Hollyburn Erratic. Photo by Rich Wheater. 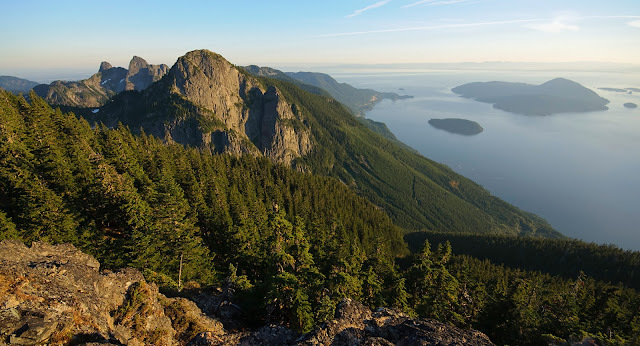 When to Go - Vancouver's climate and elevation is almost identical to that of Squamish, so climbing is possible year round. However, the best (driest) season is usually from July through to September when the summer high pressure settles onto the Coast and thoroughly dries the stone. 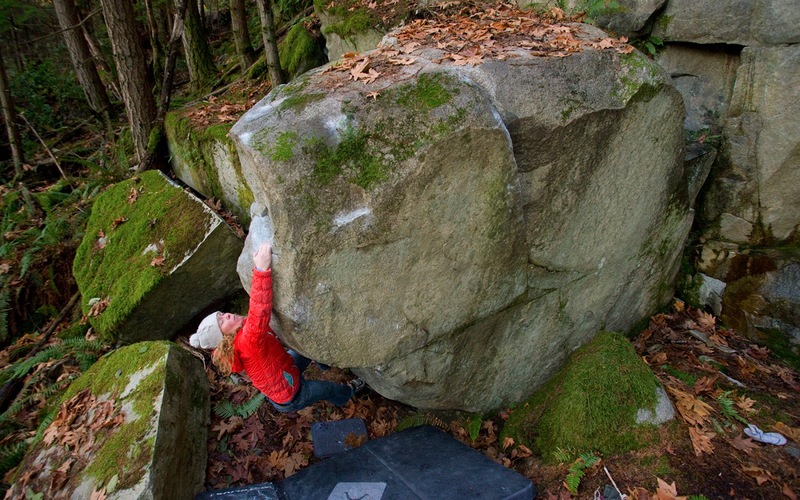 Winters in Vancouver are typically very wet, but long periods of cold, dry weather do occur and provide fantastic conditions on the boulders and open crags. 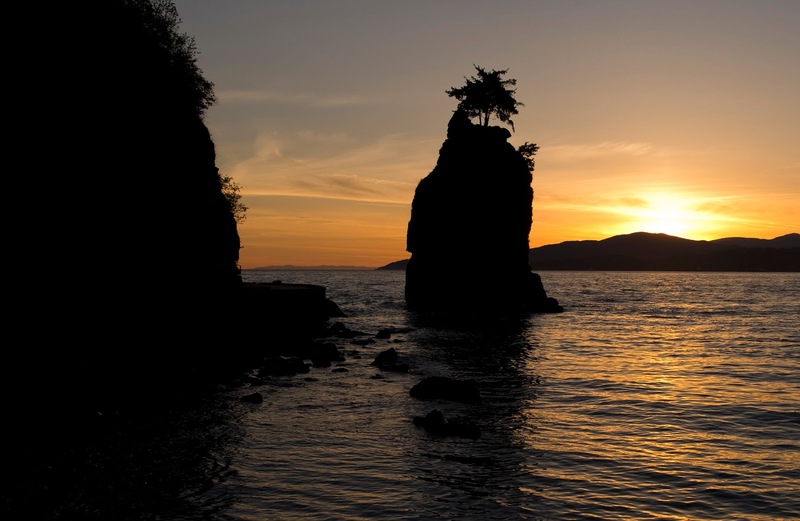 A winter cragging session down by the sea at Lighthouse Park is an annual tradition you don't want to miss. 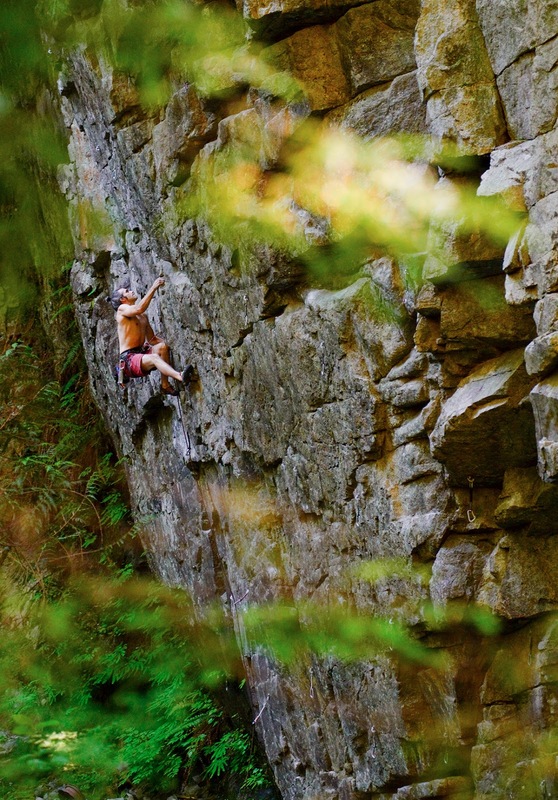 Sport climbing at Cypress Falls. 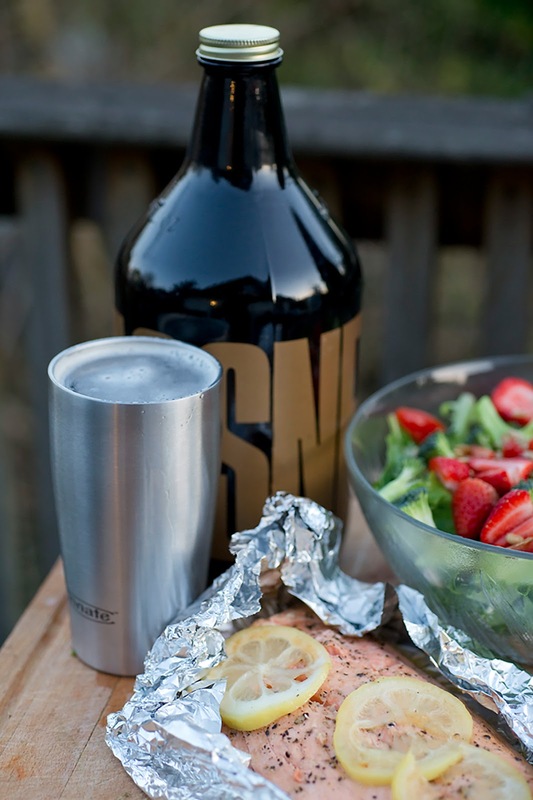 Photo by Rich Wheater. 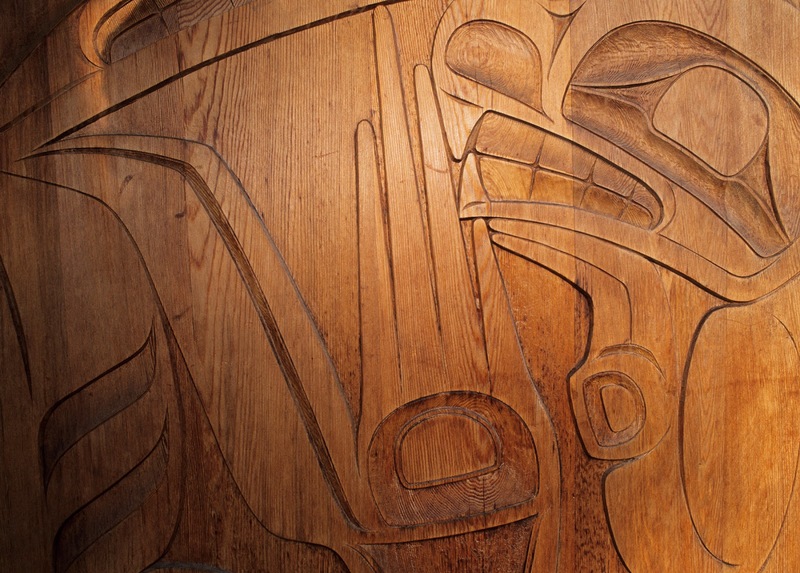 Indigenous carving. Photo by Rich Wheater. Storm clouds over downtown Vancouver. Photo by Rich Wheater. 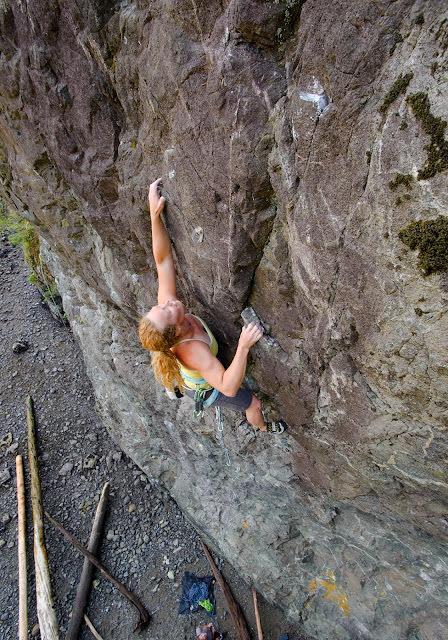 Bouldering at Godman Creek. Photo by Rich Wheater. 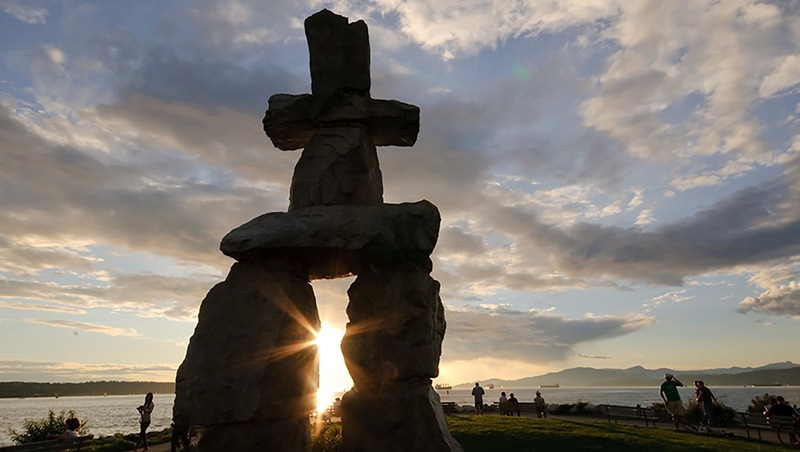 Inukshuk in West Vancouver. Photo by Rich Wheater. Deep water soloing at Whytecliffe Park. Photo by Rich Wheater. 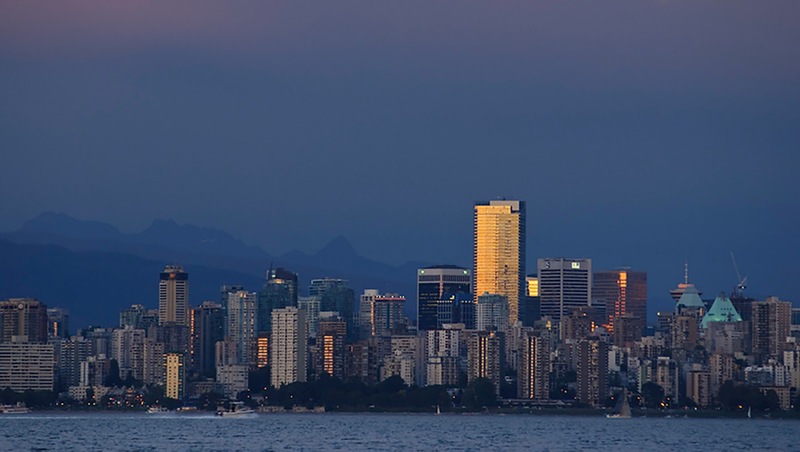 Where to Stay - Vancouver is a major metropolis with all sorts of accommodation, but cheap camping is decidedly lacking. 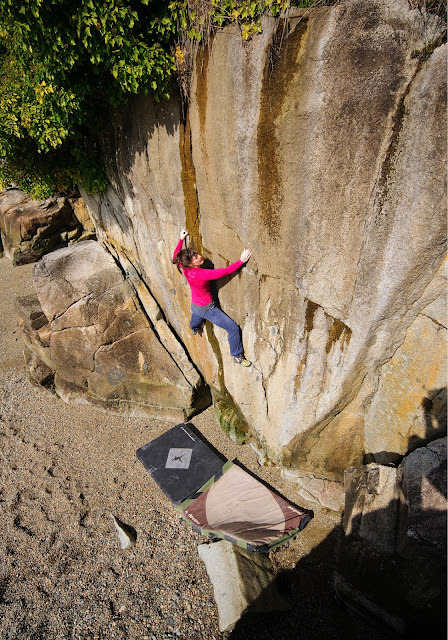 If that's your thing, you'd be best to stay in Squamish at one of the local, climber-friendly campgrounds and commute to the city for a day on the rocks. It's an easy and very scenic 45-minute drive from the campground at the base of the Squamish Chief. Local flavour. Photo by Rich Wheater. 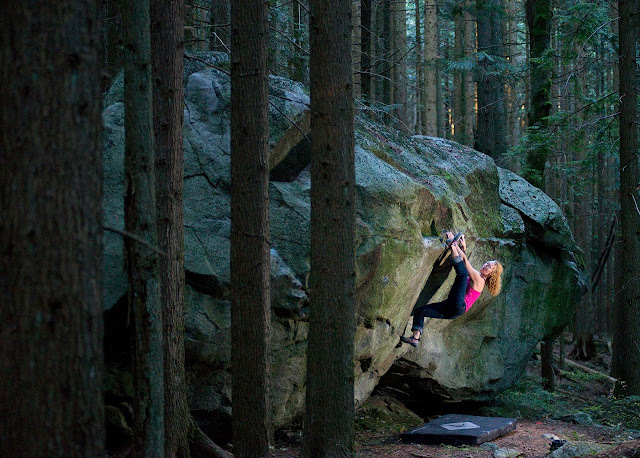 Bouldering in Lynn Valley. Photo by Rich Wheater. Siwash Rock at sunset in Stanley Park. Photo by Rich Wheater. Crack climbing at Cypress Falls Park. Photo by Rich Wheater. Sport climbing at Furry Creek. Photo by Rich Wheater. 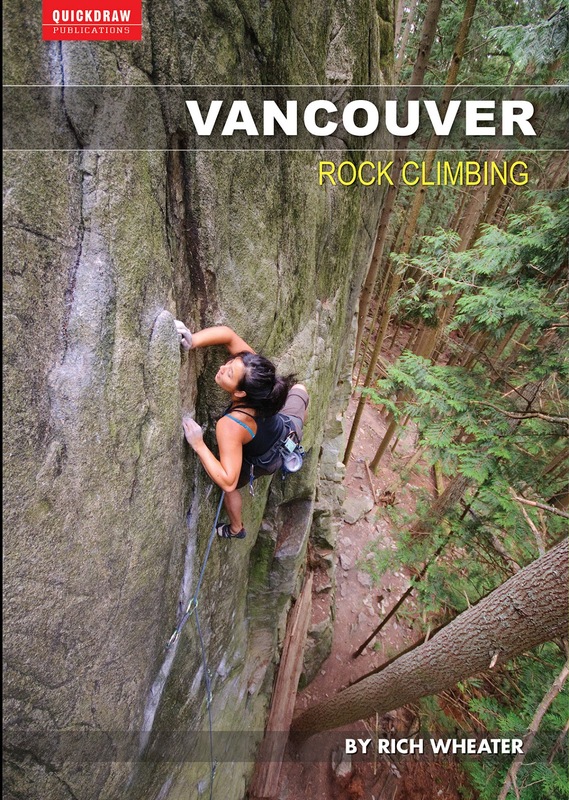 While it may not be an international rock destination, Vancouver has a unique climbing culture and set of natural resources that provides a great diversion for any climber spending time in the city. The guidebook, Vancouver Rock Climbing, contains everything you need to know to plan a short yet intriguing visit, and will be a valuable resource for any climber traveling to the city or passing through on route to the crags of Squamish. Visit Quickdrawpublications.com to purchase or to hit us up for more information!